I was thinking the other day how fun it will be this summer in my new neighborhood. The thing about moving into a brand new development is that everyone is eager to be friends…at least mine seems to be. We are already bonding with our neighbors and I feel friendship with them in a way that took me years to accomplish in my other apartments. It seems that when you live in an apartment–at least in my experience–people view you as transient and don’t bother to get to know you. Or they don’t even know you are there because apartment dwellers are frequently moving in and out. It’s not like my new neighbors and I are best friends, but we seem to already ‘get’ each other and want to be friends. I don’t feel like I’m trying to break into a clique. It’s been so nice. But back to my story…so I was thinking about this summer and how fun it will be to have neighborhood dinner groups or barbecues. And I thought one fun party theme would be tapas! Tapas, if you are not familiar, are traditionally Spanish appetizers. But in my mind they can really be any ‘fancy’ appetizer. So I decided to play around with some Olives from Spain tapas-style and make, what else…olive tapas! These are wonderful. I mean really, really wonderful. 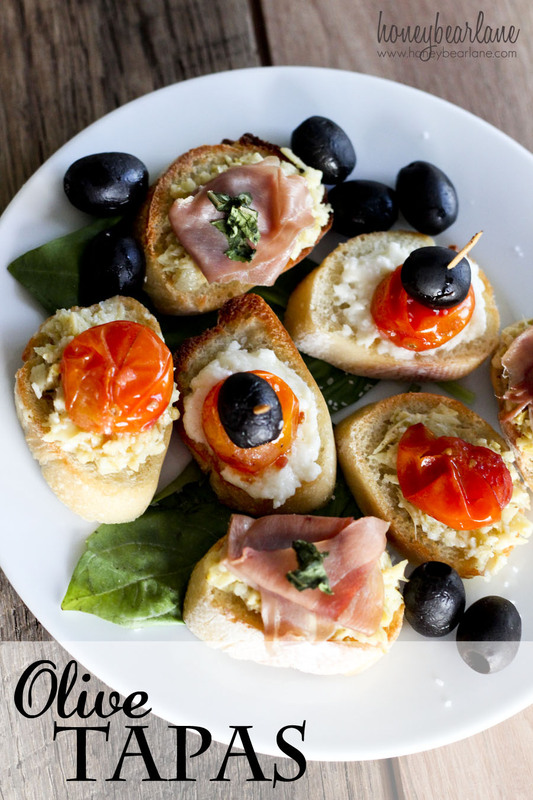 So different than the normal appetizer or bruschetta, and you can get creative and switch ingredients out for different things. I personally love the taste of Olives From Spain for these recipes. Put all ingredients except the olive oil in a food processor or blender. Blend them up and then slowly add the olive oil while the food processor is on. 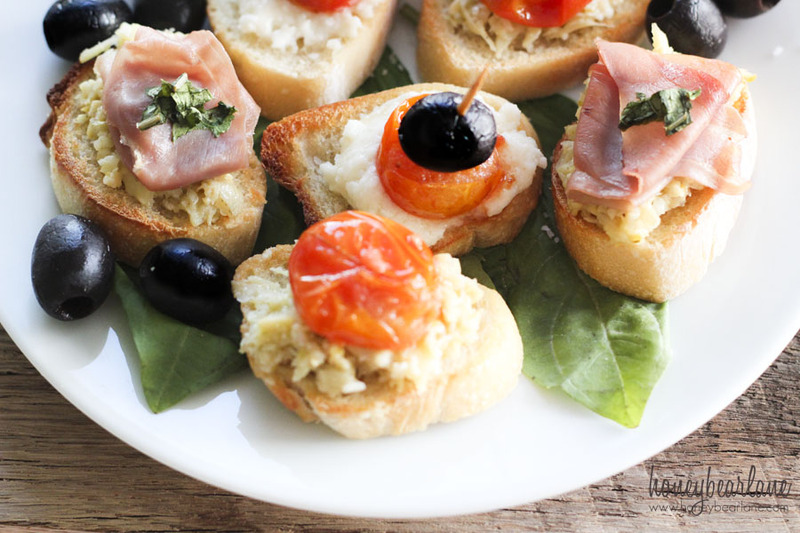 Serve on sliced of toasted baguette, plain or topped with roasted tomatoes or prosciutto with basil. Also, if you prefer to eat this as a dip, add 1 cup cream cheese and bake at 350 for 20 minutes. Take several slices of the mozzarella ball (this is not the typical mozzarella, it’s buffalo mozzarella that you find in the specialty cheese section) and put them in the food processor with 1 T olive oil and 1 tsp kosher salt. Chop up into a fine paste. Toast your baguette slices in the broiler and then top with the mozzarella cheese paste. Roast the tomatoes in 1 T olive oil for about 10 minutes under the broiler. Lightly press on the tomatoes to let the juice out and then put tomatoes on each crostini. Top with and olive and basil if desired. 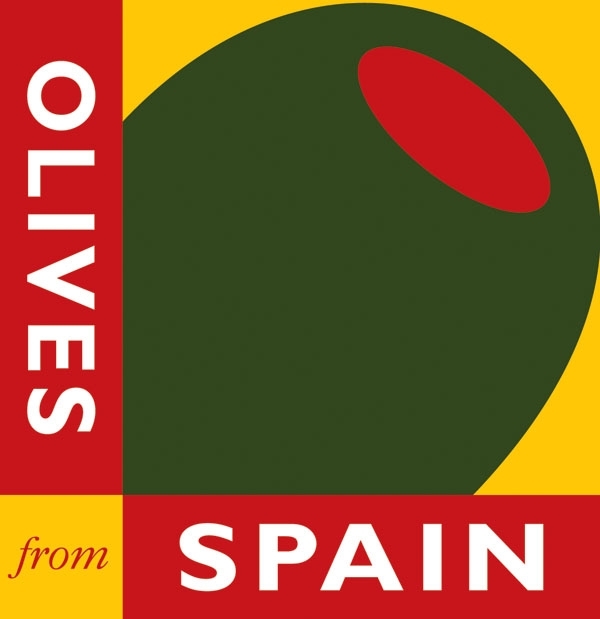 Compensation was provided by Olives from Spain via MomTrends. 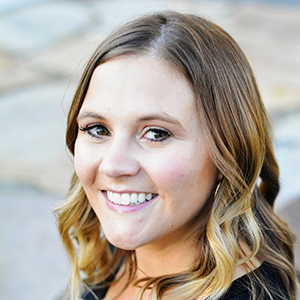 The opinions expressed are my own and are not indicative of the opinions of Olives from Spain or Momtrends. You have me ready for summer and cookouts with friends with these recipes! Can’t wait to try my garden tomatoes with these! Enjoy your new home! Thanks! I can’t wait for summer…yay!